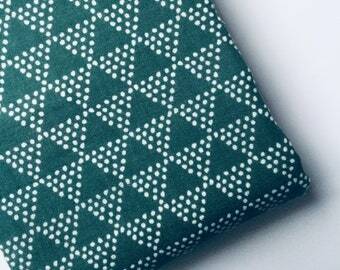 Introducing the first of a new line of kote bags from Kendo Girl ~~ Haiku in Modern Blue! This kote bag is truly one of a kind and can be used for accessories for any martial art. 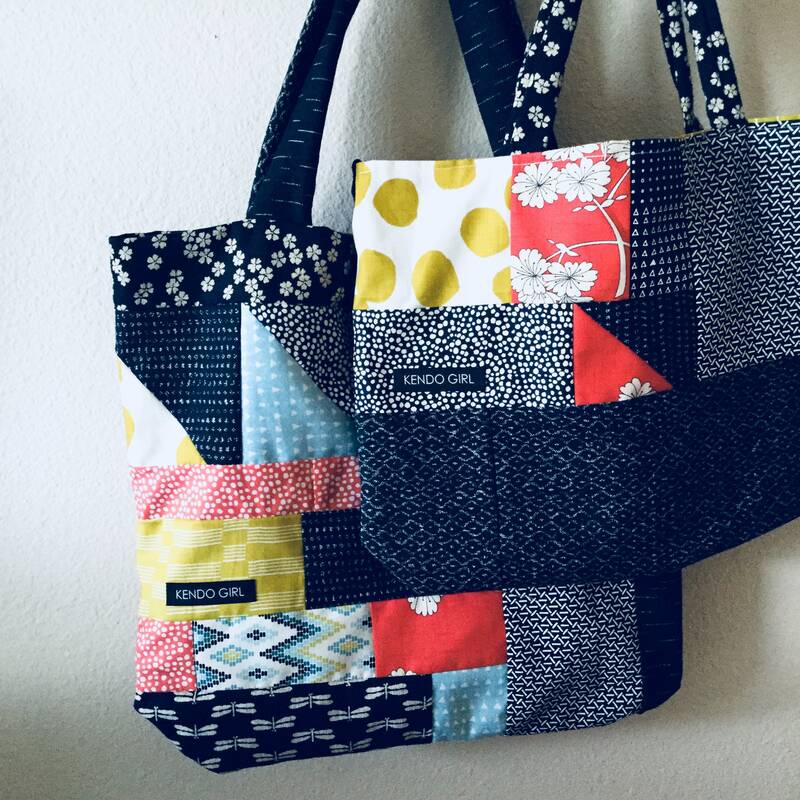 I created it with a blend of multiple quilting weight designer fabrics featuring a combination of indigo blue, orange and green designer fabric lines that blend together perfectly. The best part of the bag has to be the featured fabrics, a large variety of modern and bright three designer lines combine to make this bag unique. 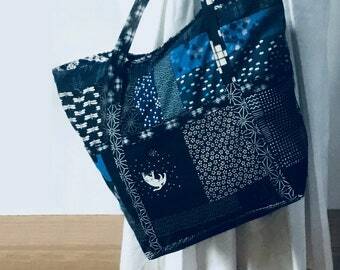 The pattern featured in this bag was based on several fabrics I bought on my most recent trip to Japan. 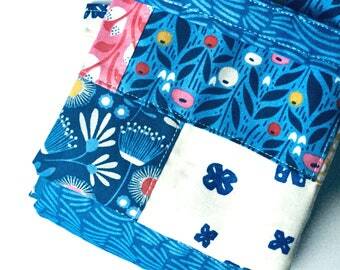 The fabrics a focus on the indigo blue, lime green, and coral orange patterns. It is beautiful, not too bold, just enough elegance. 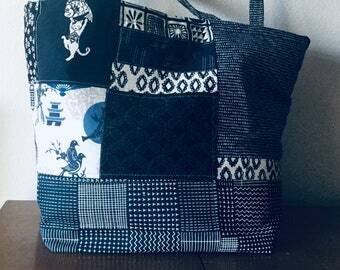 I combine it alongside a really fun coordinating Asanoha Nara homespun heavy weight fabric from Japanese import Sevenberry, featuring the traditional beautiful pattern on indigo based cloth, that's at once timeless and on trend. The highlights include Whisper - Triangles Blue by Victoria Johnson from Windham Fabrics, Haiku Falling Bloom Coral from Moda, Sevenberry Nara Homespun - Flowers Indigo from Robert Kaufman, We Are All Stars Ember Gold, Organic Cotton Fabric, Olive Green Star Fabric, and Lotta Jansdotter Lucky Collection - Etapp in Green Olive. Not to mention a fan favorite pulling it all together - Sevenberry Kasuri homespun sakura patterned fabric from Japan lining the external top of the bag and keeping your kote cozy. This bag is designed for kendo, but could potentially be used for a variety of different sword arts or sports. The bag features a reinforced thick bottom and fun little details such as extra wide external handles and decorative stitching. The measurements are approximately 10" tall by 14" wide, with 7" tall handles. 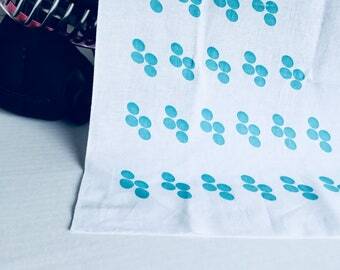 Please wash in cool/warm water and air dry. Your brand new custom bag will be sent quickly, in our signature eco-packaging, ready to give away as a gift or treasure for yourself.